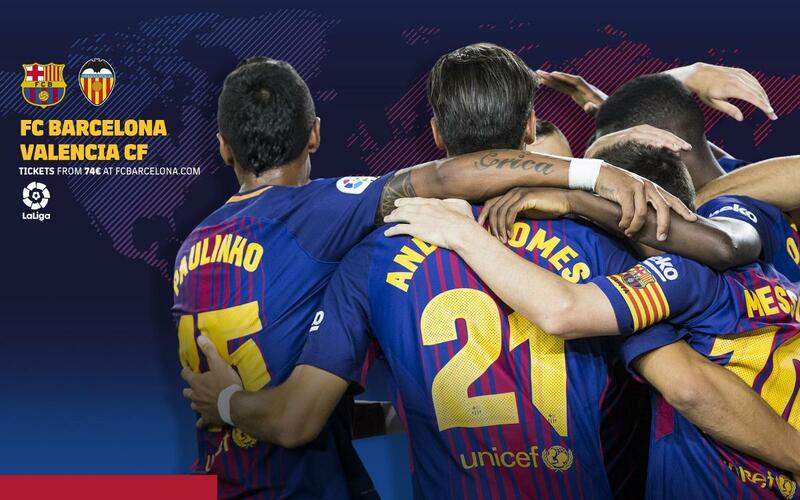 On Saturday 14 April FC Barcelona host Valencia at Camp Nou in La Liga. Ernesto Valverde's team are seeking to continue their unbeaten run in the league and break Real Sociedad's record of 38 matches without defeat set in 1979-80. Eariler in the season Barça played out a 1-1 draw in Mestalla in the league and the two sides also met in the semi finals of the Copa del Rey with the blaugranes coming out on top thanks to a 1-0 win at home and a 2-0 win away. You can follow Saturday's clash on the Club's official websites and on their various social media platforms. Below we have a guide to kick off times and TV coverage around the world for the week 32 fixture between FC Barcelona and Valencia.